We offer a wide selection of LED products and services for commercial, industrial and residential applications for all of your lighting needs. Kimberly Lighting, LLC, specializes in providing environmentally friendly LED lighting products of the highest quality components and undeniable durability, while providing excellent customer satisfaction. One of our goals is to make sure you will not only be happy with the design but also with the long life and energy savings you will receive. We are proud of being part of the global effort in saving our planet by lowering energy consumption, CO2 emissions and recycling old products ensuring that harmful chemicals are kept out of landfills. 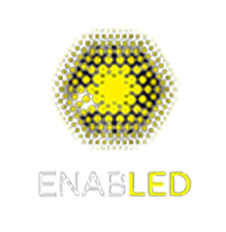 The owners of Kimberly LED Lighting have taken their 75 years of combined experience in the lighting industry to create a company that’s sole purpose is to provide energy efficient LED products that fits the consumers distinct needs. Bringing innovation and technology to the next generation of lighting is a passion for us and our passion grows daily. Thank you for visiting our website and please visit often, as we are adding new, state of the art LED products on a continuous basis. one light at a time. Kimberly Lighting, LLC, is committed to providing innovative, smart solutions to the world of lighting. We pride ourselves on maintaining high industry and environmental standards while providing exceptional quality products including those made with pride in the USA and Michigan made items. We are dedicated to continuous improvement to our clients, staff and perpetually evolving product line to help reduce environmental impacts while providing sensible and sustainable solutions for all of your lighting needs. We pride ourselves on providing excellent customer satisfaction, support and personalization of their needs.